Juvéderm® treatment is a simple, instant cosmetic enhancement that gives you a refreshed and youthful look. It smooths wrinkles and restores volume to reverse the most telltale signs of aging. It can also be used to lend a more natural appearance by enhancing facial features and definition. Botox treatment smooths out the wrinkles around the eyes, forehead, and between the eyes by temporarily relaxing the underlying muscles. Why Do Dentists Offer Botox and Juvéderm®? In recent years, there has been a shift in perception regarding the connection between patient confidence and health. More and more, health practitioners are realizing that mental and emotional health can have a strong impact on physical health. A person’s self-esteem has bearing on how well he or she practices self-care. Dentists are taking a holistic approach to oral care by focusing on helping patients feel more confident about their smiles – including the rest of their face, not just their teeth. Are Dentists Qualified to Offer Them? Dentists receive a large amount of education on how the facial muscles and tissues work. Dental work can affect the parts of the face treated with Juvéderm® and Botox, and Juvéderm® and Botox can affect the way that dentists must perform dental work. So it’s actually very important for dentists to have a deeper understanding of these treatments. Additionally, receiving dental care and Juvéderm® or Botox treatments at the same office may help to optimize care and keep patients looking and feeling their best. injected into the muscles of the face, blocking the nerve signals that tell these muscles to contract. This allows the skin to smooth out over these muscles, though the effects are usually not seen for about three to seven days. Botox is usually used on the forehead, around the eyes, and around the lips to reduce the appearance of wrinkles. 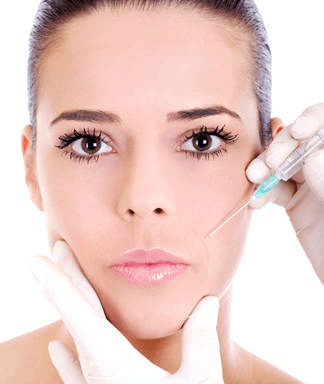 In addition to its cosmetic applications, Botox may also be used in certain therapeutic applications. Botox can help to treat TMJ disorders and bruxism, or teeth grinding and jaw clenching. Botox can also help to retrain the facial muscles in patients who have been injured. Botox may be useful for patients who have recently received dentures and are having trouble getting used to them. Skin naturally produces the hyaluronic acid that is used to make Juvéderm®, but the skin begins producing less of this compound as we age. Juvéderm® is a gel that’s injected into certain areas of the face, replenishing the hyaluronic acid to moisturize and fill out the skin. This effect can last six to 12 months. If you have a medical issue or just want that extra boost of confidence, schedule a consultation today to discuss your options. JUVÉDERM lasts for up to a year after the procedure. Following that time frame, you’ll be able to have a touch up done to remove any new signs of wrinkles or folds. Are JUVÉDERM and Botox painful? No, they’re not painful, but some tenderness, temporary redness, swelling, and bruising is to be expected immediately following the proceudre. This will go away after a few days and any discomfort can be treated just like any other swelling – such as an icepack. When can I expect results from JUVÉDERM and Botox? You can expect to see results within two days following the procedure. Will my face look unnatural? Our experts are lincensed to perform this procedure and will simply use it to remove wrinkles and frown lines. Nobody should be able to notice that you have even had any work done. Our experts will administer the procedures quickly and easily. Feel more confident with your natural facial structure accentuated.